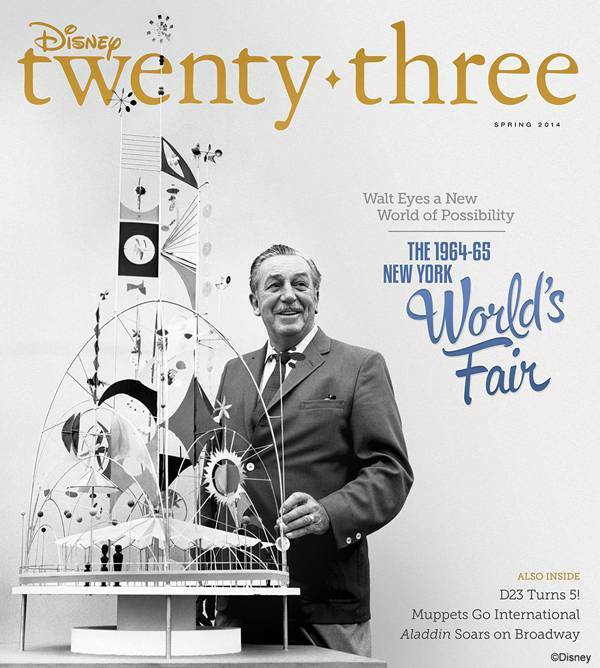 DISNEY TWENTY-THREE celebrates Disney’s contributions to the 1964–65 New York World’s Fair in SPRING 2014 issue. Featuring rarely seen concept art and photography from the Fair, as well as exclusive interviews with Chris Evans, Tina Fey and The Muppets! The name “D23” pays homage to the exciting journey that began in 1923 when Walt Disney opened his fledgling studio in Hollywood. 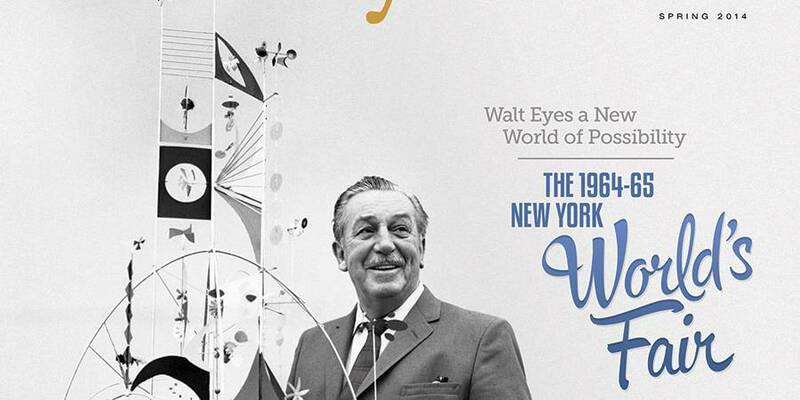 D23 is the first official club for fans in Disney’s nearly 90-year history. 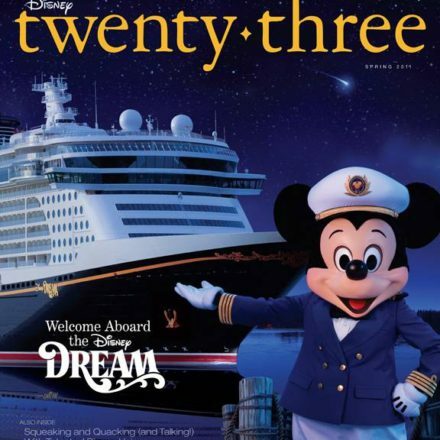 D23 gives its members a greater connection to the entire world of Disney by placing them in the middle of the magic through its quarterly publicationDisney twenty-three; a rich website at D23.com with members-only content; member-exclusive discounts and special events for D23 Members throughout the year. 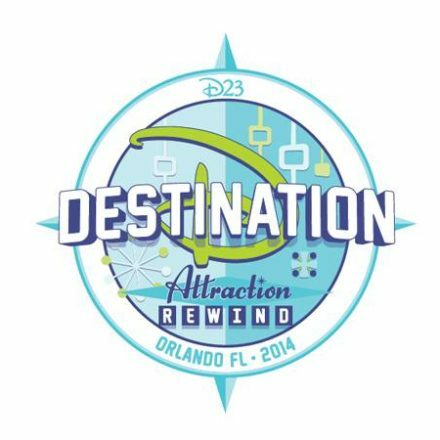 Fans can join D23 at Gold, Silver, and Free Membership levels atD23.com and at www.DisneyStore.com/D23. To keep up with all the latest D23 news and events, follow us @DisneyD23 on Twitter, Facebook, Pinterest, and YouTube.